A city locksmith isn’t hard to find, but one that is worth building a long term relationship with – that’s a bit tougher. Normally, people wait until they are caught up in an emergency before they contact a shop, but it’s still possible to find a talented, trustworthy professional even when under duress. And a trustworthy professional can offer long term support for property security, something that can be difficult to manage without expert guidance. In every city, there are locksmith shops all over the place, but it’s the ones that have worked in the community for years that should be considered. Like with any business, a shop has to prove itself over many years to remain in business, and that means providing excellent service. 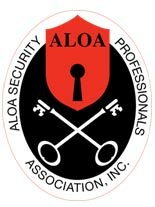 A shop affiliated with the Associated Locksmiths of America (ALOA) is a good choice, as they likely have deep and broad training in many areas. An advanced level of training will be particularly useful if a property owner is looking to improve their security. Most importantly, though, a shop should take every measure to make the process as simple and clear as possible. Detailed estimates and identification on request are just a couple things a property owner should expect, as they ensure that the professional they are dealing with is reputable. With so many professionals to choose from, a property owner doesn’t have to settle for a second rate shop, as long as they know what to look for.